Good-bye and thank-you to our readers – bye bye blog! After ten years, Mohawk College Library bloggers are saying good-bye. We are happy to have had the opportunity to share lots of information and library news with you, and have truly enjoyed reading and responding to your comments on a variety of different topics. Although we will no longer be posting to this blog, you can still find us on Facebook, Twitter, Google+ and Instagram so you can stay up-to-date on library news, events, and services. We sincerely thank you for your support and readership and look forward to hearing from you through our social media sites. Mohawk College Library is encouraging all students to sign up for a library tour in January. Each campus library location offers a variety of study spaces, services, and resources to help you succeed. So, even if you are a returning student, be sure to sign up to get to know your library! Please click on this link to sign up to participate in a library tour at your campus. The Mohawk College community is already getting ready for a special guest early next year! Social Inc. in partnership with the Mohawk Students’ Association, The Well (LGBTQ Community Wellness Centre of Hamilton) and the Sexual Assault Centre of Hamilton and Area present Laverne Cox. Laverne Cox is well-known for her role on the hit show “Orange is the New Black” and will discuss her life and journey as a transgender actress. This event will be held at the McIntyre Performing Arts Centre, located at the Fennell campus on March 23rd, 2015. For more information and tickets, please click here. Mohawk College Library has resources to help you learn more about the LGBTQ community. The library has recently acquired the video Beautiful Boxer which is based on the true story of Thailand’s famed transgendered kick-boxer, Parinya Charoenphol (known as Nong Toom in Thailand). The book, Transgender people discusses gender identity disorders, the transgender rights movement, and other issues faced by the transgender community. If you do go to the event, be sure to send us a message on Facebook, Tweet us @mohawklibrary, or send us a picture on Instagram. Do you have a presentation? Don’t know how to fill the entire 20 minutes? Mohawk College Library has the solution. Films on Demand! 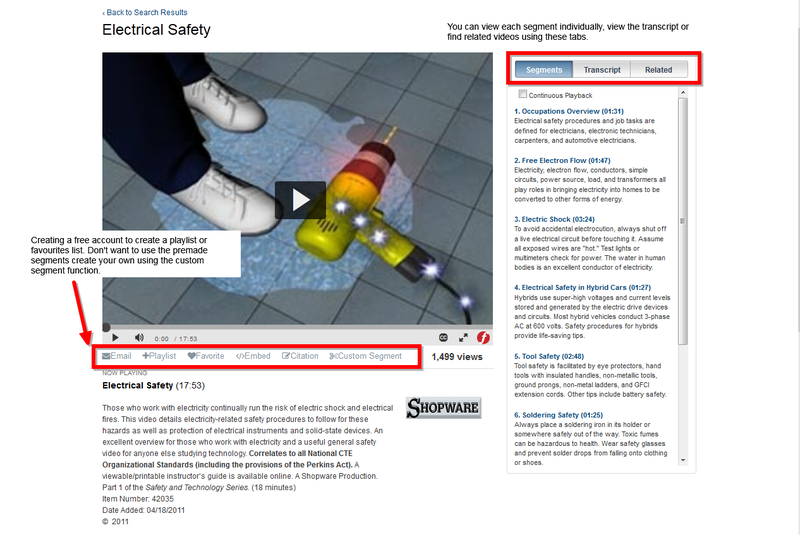 Films on Demand online videos are produced for educational use making them a resource for reliable, current information. 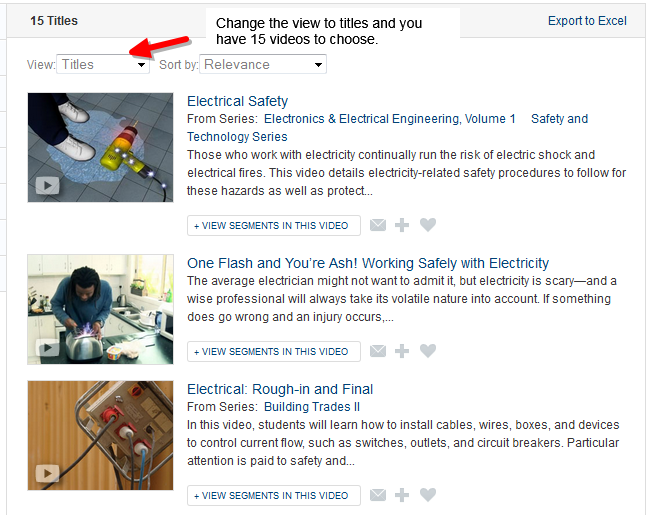 New videos are added monthly and … bonus! … there are no commercials or ad banners to be found. Similar to YouTube you will see a description of the video, the date published, the number of views, and can also expand the video to full screen. Give Films on Demand a try when researching your next project. 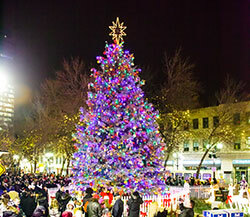 This weekend in the city, the Downtown Hamilton BIA and local radio station AM 900 CHML celebrate Christmas in Gore Park with a variety of family friendly activities. The fun begins on Friday, December 5th at 5:00 p.m. with a free concert by local band Crank. The lighting of the Christmas Tree of Hope will take place at 6:00 p.m. Children can ride the Christmas miniature train and merry-go-round, and everyone is welcome to enjoy free refreshments. And don’t forget your letter to Santa; letters may be sent to Santa in a “direct to the North Pole” mailbox. The Downtown Hamilton BIA invites everyone back to Gore Park on Saturday, December 6th, from 11 a.m. to 4 p.m. to shop in Santa’s village. The event includes great vendors, free refreshments and Christmas crafts. There will be carolling and Christmas entertainment throughout the park. You can even have your picture taken with Santa Claus. Mohawk College Library can help you get ready for the holiday season. The library has books on cooking, crafts, and your favorite Christmas carols. If you still have names to cross off our list, checkout this gift guide from People magazine. You can always keep up-to-date on the latest trends using library databases and e-journals. The Official NORAD Santa Tracker is hard at work counting down the days, hours and minutes ’til his arrival. This year on Christmas Eve, you’ll also be able to follow Saint Nick’s progress on Google Maps! Perhaps you’ve wondered about the aerodynamics of a guy in a sleigh with 8 tiny reindeer? You’re not alone! Check out the interesting numbers presented in this article and do your own weight and balance calculation or learn more about the science of flight from our e-book, Understanding flight. Maybe Santa actually flies in a Westjet plane? There’s a town in the Dominican Republic that believes that! Don’t miss Westjet’s 2014 Christmas miracle video. It’ll put a big smile on your face and a tear in your eye!